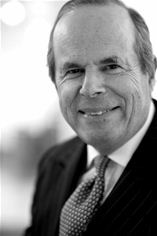 LONDON – Robert Rhodes QC has been appointed to the mediation panel for The Court of Arbitration for Sport (CAS). Based in Lausanne with offices in Melbourne and New York, the Court deals with both arbitration and mediation in sports-related matters such as the Olympics and World Cup football as well as sport disputes worldwide. Rhodes QC is a barrister based in London with Outer Temple Chambers and specialises in business crime (e.g. civil and criminal fraud, tax investigations, bribery and money laundering), mediation and arbitration (both as counsel and mediator / arbitrator), financial services, regulatory and disciplinary law. He is also registered for direct access with the public. The CAS has expressed an interest in appointing former international sportspeople and Rhodes QC represented Great Britain as an epeeist, fencing in the World Under 20 Championships, the World Student Games and the European Epee Championships. He has fenced in France, Germany, Holland and Hungary. Rhodes QC sits on a number of Far Eastern panels of arbitrators / mediators, including the Arbitration Panel of the Beijing Arbitration Commission, has rights of audience in the Dubai International Financial Centre Courts, and is a member of the Dubai International Arbitration Centre. He has been appointed a Senior International Mediation Expert at the Mainland-Hong Kong Joint Mediation Center, Hong Kong. He is an Invited Expert on the Professional Committee on Investment Arbitration of the China Academy of Arbitration Law. He is a Fellow of the Chartered Institute of Arbitrators, a member of the London Court of International Arbitration and of the International Chamber of Commerce, a former member of the Corporate Panel of the Dispute Board Federation, and has been recommended as a Leading Silk in Fraud, Banking and Finance by the Legal 500. He has spoken in various continents on fraud, money laundering, bribery (including in Italy, where the audience included the Lord Chief Justice), mediation and arbitration. He has published extensively on those subjects, and has been interviewed by the media. Robert is a Goodwill Ambassador for the UK-Cyprus Enterprise Council, and a member of the Advisory Council to the UK Sichuan Business Association. Robert Rhodes QC is a barrister with Outer Temple Chambers. An Oxford University graduate, he was called to the Bar in 1968 and took silk in 1989.